Brief Synopsis – A Zombie outbreak occurs in the Midwest and a group of survivors attempt to stay alive amid the chaos by hiding out in a mall. My Take on it – As most of you probably already know, I am by no means a fan of the horror genre. As a matter of fact, I tend to run as far away from Horror movies as possible. Table9Mutant from Cinema Parrot Disco recently posted a movie review as part of Mikey’s great Olympic Blogathan. Mikey had guest reviews from numerous bloggers (myself included) reviewing movies that take place where we live. CPD, who grew up in Wisconsin chose to review this movie since it takes place not far from where she grew up. After reading her review, I was hooked and decided that I would try this movie out since I immensely enjoy the TV show The Walking Dead and felt that Zombie movies can’t get much more gruesome than the show does, so perhaps I would enjoy it. One of the things I really enjoyed about this movie was the fact that first time Director Zack Snyder chose to make the Zombies faster instead of the usual slow, shuffling undead that most venues use. This made the characters have to act faster in order to avoid getting caught. (The slowness is actually one of my main criticisms of TWD). I loved the cast here, most of them were relatively unknown at the time, but they have come to be more recognizable in the decade since this came out. Ving Rhames is probably the most recognizable face in this movie, but he is joined by Sarah Polley, Jake Weber, Mekhi Phifer, Michael Kelly and surprisingly by Ty Burrell. The effects in this movie are done extremely well and anyone looking for the gore and gruesomeness of a Zombie movie will have no complaints about how this was done. The plot is overly simplistic and although I can’t expect more than that, it was slightly disappointing because TWD has shown me that you can have a plot in a Zombie genre. Thanks Mutant for the recommendation! This doesn’t mean that I’m now willing to watch those slasher pics you and Eric (and others) love tho. Bottom Line – Very fun Zombie movie. Excellent cast. Gruesome Zombie effects as expected. Recommended! yes, TWD is very serious, but to me that makes it so much more powerful. this one was very fun. I recall enjoying Zombieland and also Shaun of the Dead a few years ago also, so I guess when it comes to Zombie movies, I must like the ones that are meant to be more comical than scary. Ahhhh! I LOVE this movie! Fantastic review, and I am glad to see you enjoyed it too! I’m glad too! thanks Zoe! Yes a zombie party is appropriate, hosted of course by Eric! when should I pick you up at the airport? Well. Then we may have a problem. Hahaha. I need to see this one too, T9M also drew me to it! Fast zombies… uh oh! One of my favorite horror remakes. Hmm…maybe it is my favorite. Nice job, man! Glad you liked this film. It may even be the last Zack Snyder film I really loved. I think that is a testament to why the film works on many levels. You don’t have to be a die hard horror fan to really like the story and characters. It is more about how they survive with each other than about the zombies. It’s why Snyder’s film is engaging. I agree. Thanks for sharing Vic! I’m still surprised you liked this one! : ) No, I don’t really like slasher flicks like Eric does. ; ) (Except for some cheesy looking 70s & 80s ones such as Halloween & the Nightmare on Elm Streets). 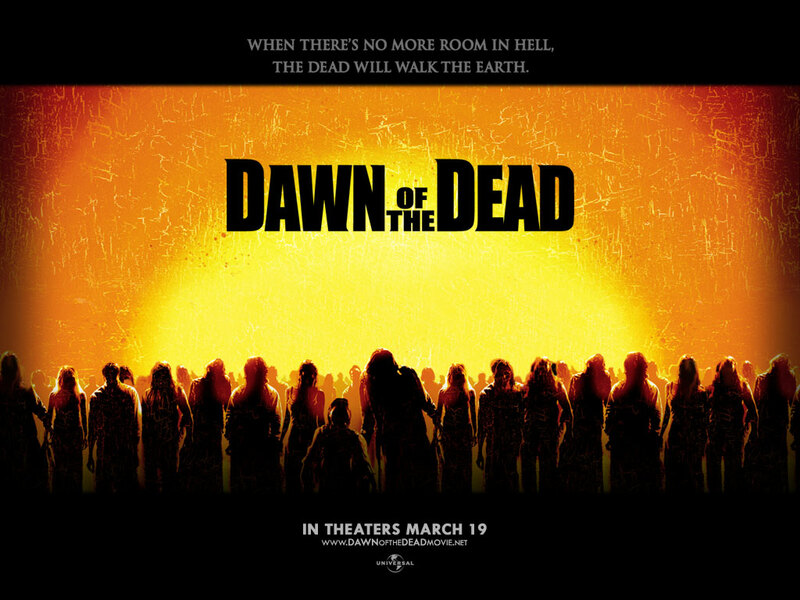 But I’ve always been drawn to zombie films and, in a way, don’t see them as “horror” in the same way as they’re more of a social commentary on society (though not so much in current zombie films/TV shows). The zombie movie I’d recommend to you is Warm Bodies – I reviewed it in the early days of my blog if you want to read it. : ) Have you seen World War Z? I reviewed that as well. Okay movie but the book is much better (and totally different). I think you’re right about Zombie’s falling into a different category. I will try and see Warm Bodies soon, hope I like it.